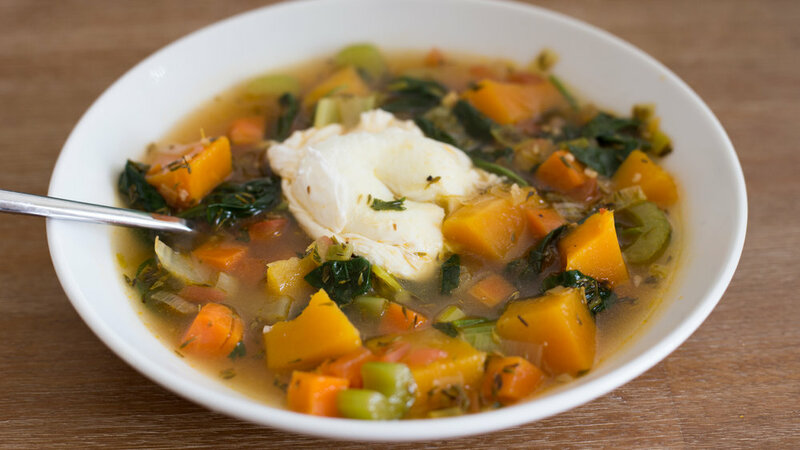 Veggie Harvest Soup w/ Poached Egg — Happy Food Co. WARM the contents of the olive oil packets in a medium stockpot over high heat. ADD the leek, carrots and celery. SAUTÉ for 3-5 minutes until tender and lightly caramelized. ADD the butternut squash, thyme, parsley and garlic. Stir to combine. MIX vegetable broth concentrate with 3 cups of hot water in liquid measuring cup. POUR vegetable broth into stockpot with veggies. Stir well. FILL a 8-10 inch non-stick pan to the top with water. ADD vinegar and a ½ teaspoon of salt. Bring to a boil over high heat. 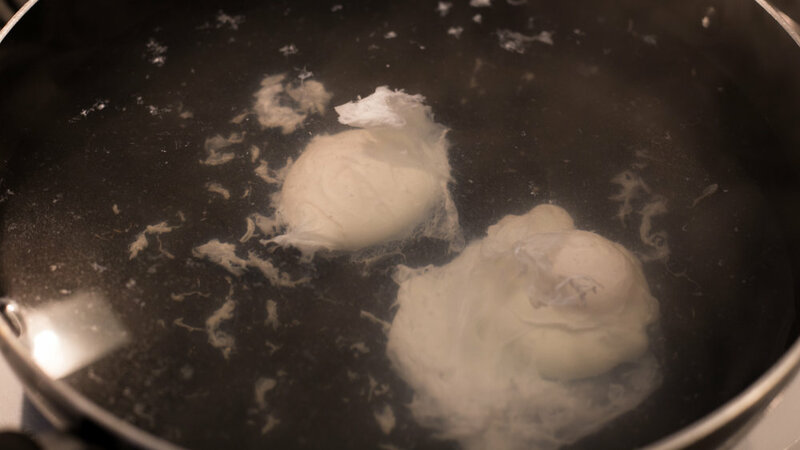 CRACK eggs into boiling water. Cover with lid and turn off heat. POACH eggs for 4 minutes for medium-firm yolks. REMOVE eggs with slotted spoon, allow water to drain and place in soup. 5. FINISH, SERVE & ENJOY! TASTE and season soup with salt and pepper as needed. FINISH soup with lemon juice. SERVE soup with a poached egg and enjoy the yumminess! This Chardonnay has a textured palate and full mouthfeel that culminates in a long, lingering finish. Complex, layered flavors of tropical fruit, lemon, apple and pear blend seamlessly with hints of coconut, baking spice, caramel and toasted oak for a rich expression.